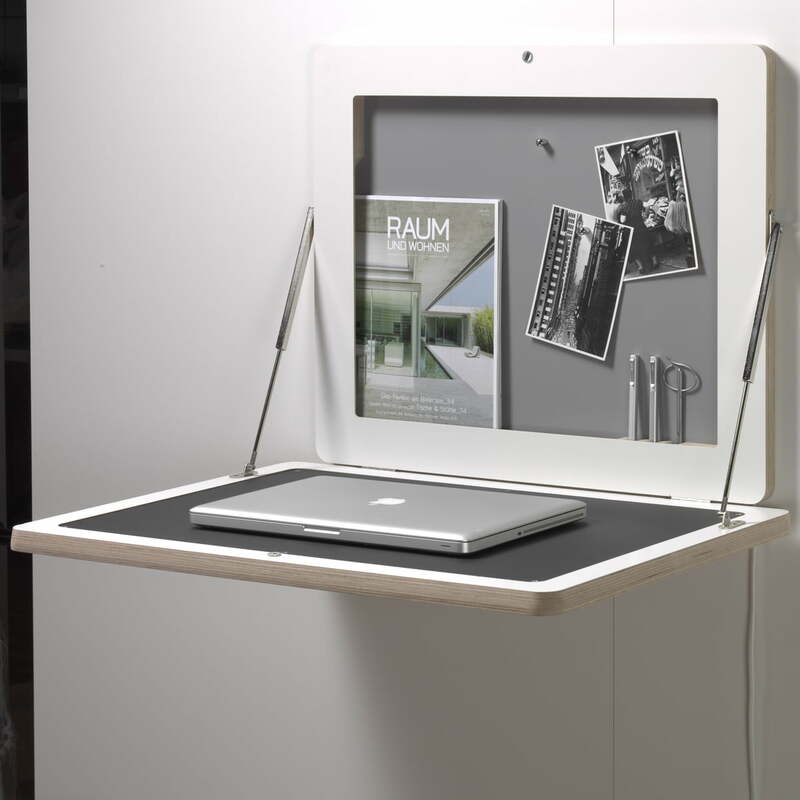 Everything finds a handy place in the nearly two-dimensional, 2.5 cm deep furniture. 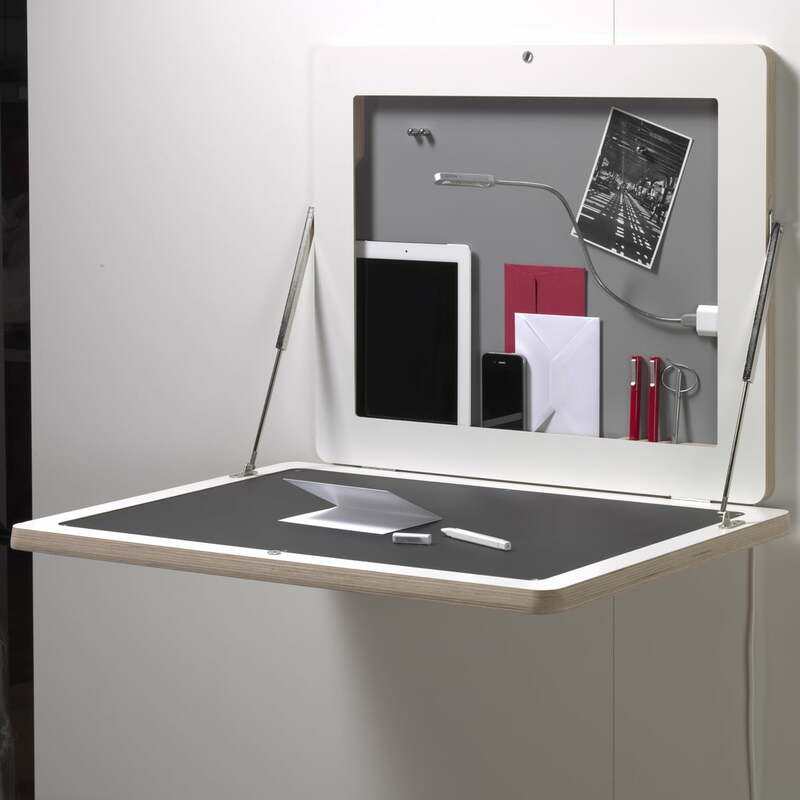 The Flatframe serves as a resting place for mobile devices: There is an almost invisible multiple socket for chargers with Euro plugs integrated in the coated multiplex-plywood frame; the powder-coated coloured back wall also makes the space-saving object into a magnetic memo board. 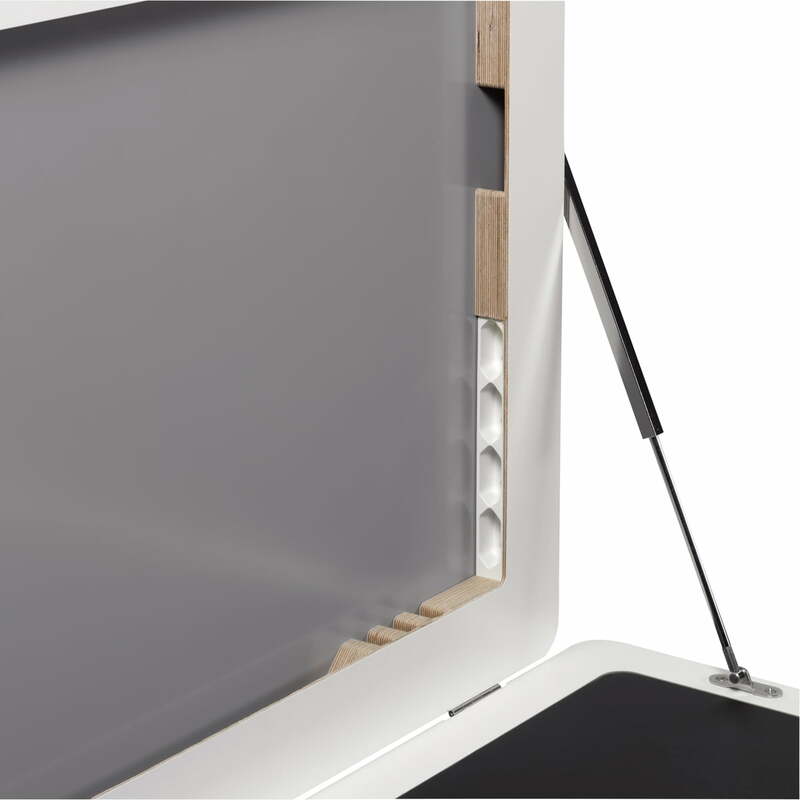 The high-quality linoleum coated foldable work surface on the optionally available front frame transforms Flatframe into a functional back-friendly standing work station. 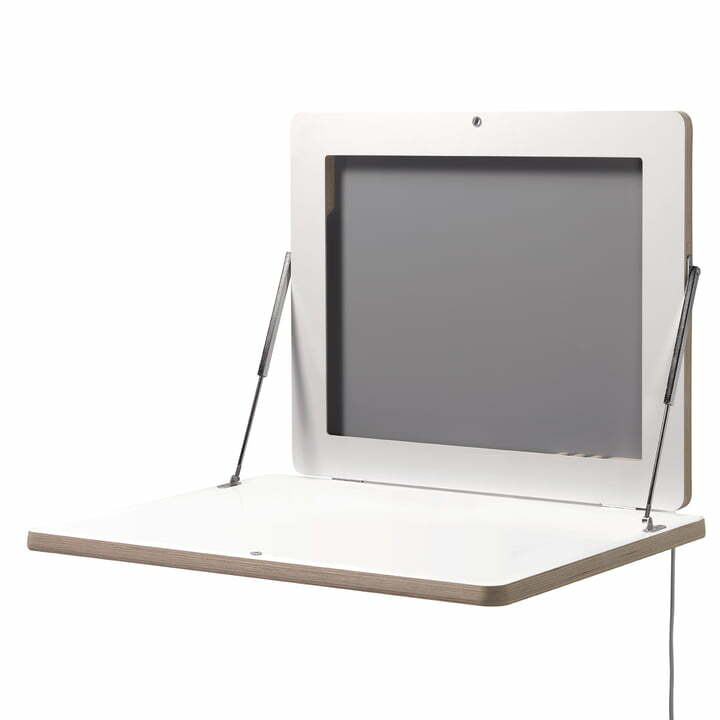 This version can be used as a standing or sitting work station according to how high it is mounted. 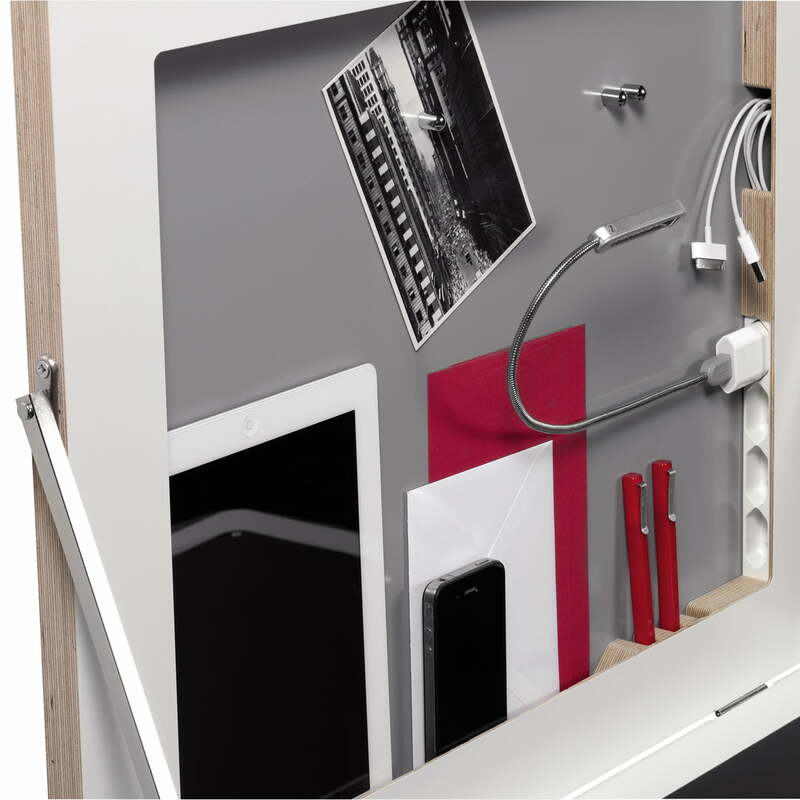 All versions of this completely new type of furniture has storage space for a few really necessary work items despite its small dimensions and helps a little bit to organise complex routines. 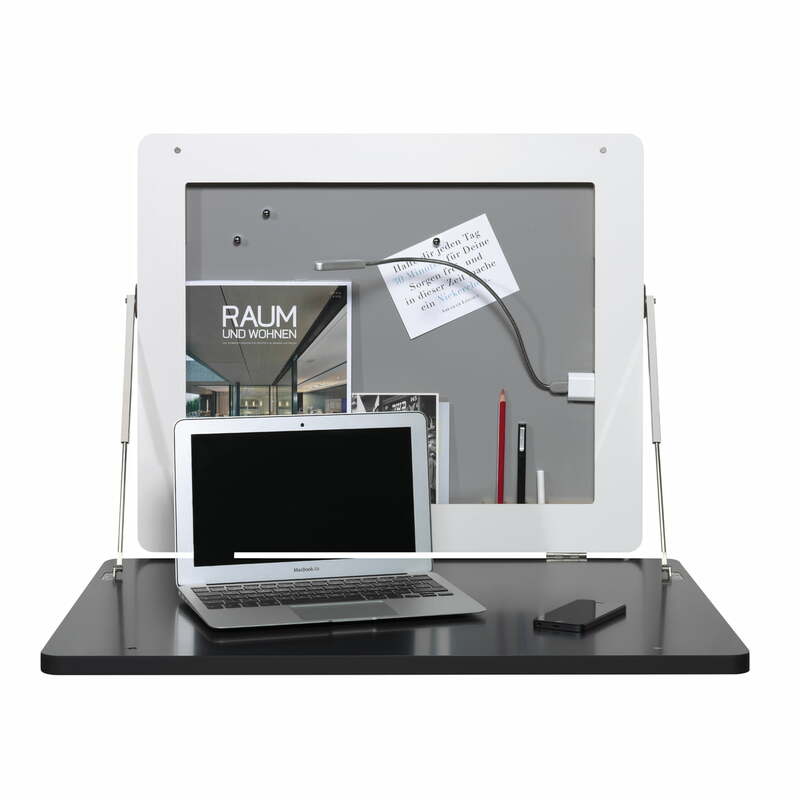 Flatframe creates a compact work station where there isn’t any room for conventional furniture units so it is suitable for narrow hallways, bedrooms or even the kitchen. 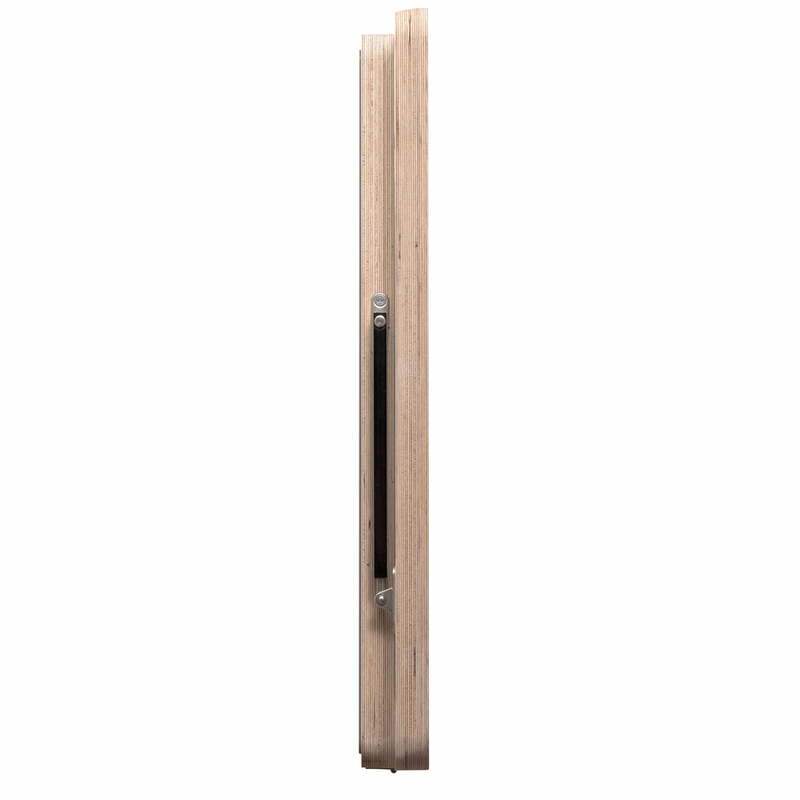 Weekend houses, holiday apartments or hotel rooms can add another function with this unobtrusive and space saving Flatframe. 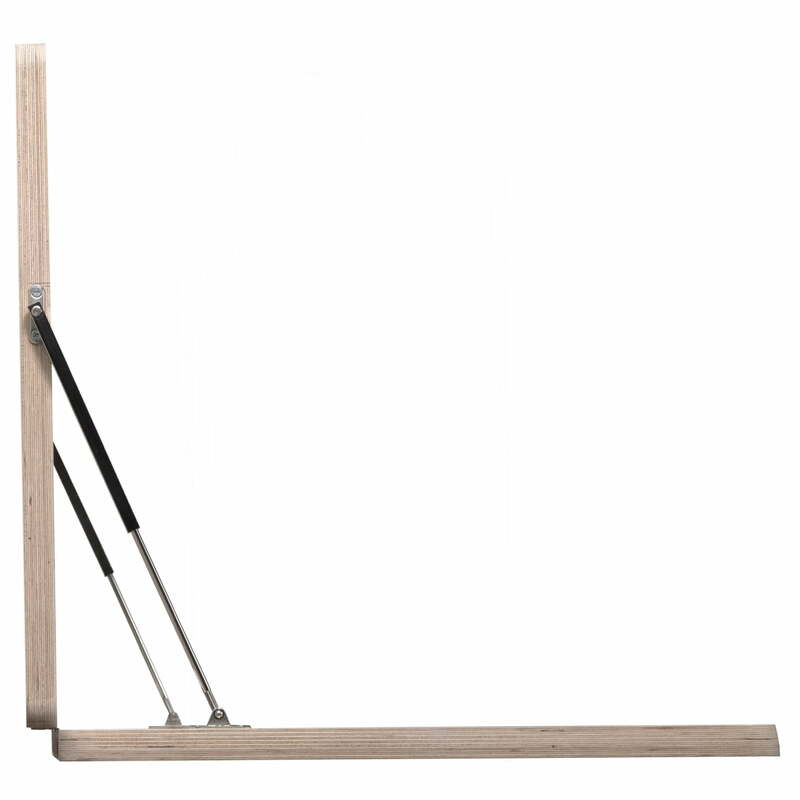 The work top holds up to 35 kg weight. Power plug type Plug Type F (CEE 7/4, Schuko plug) - Used in: Germany, Austria, the Netherlands and Spain. Please check, if you need an adapter for your country!